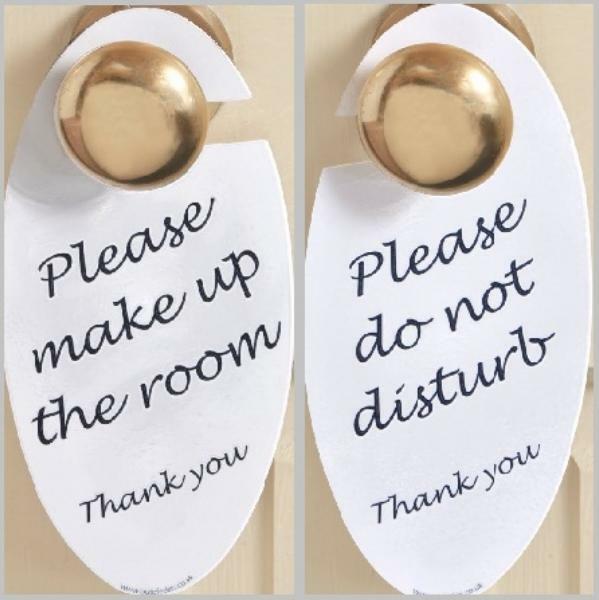 Avoid any embarrassing moments with these handy Do Not Disturb signs. Printed in dark blue on white. Do the job, but not very strong, so break very easily. Would benefit from being made from a stronger material. Simple, stylish, contemporary design. Perfect for our business!